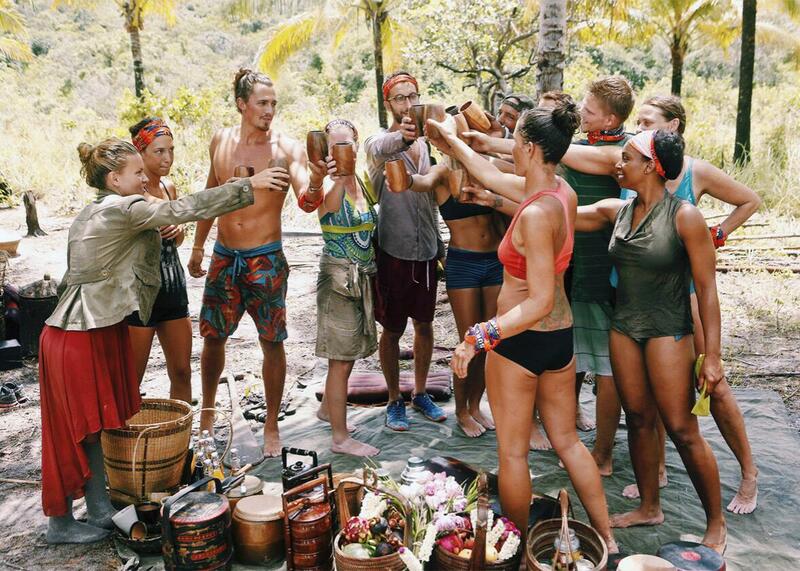 How has Survivor managed to stay on-air for so long? The genius of Survivor is that it’s self-reflexive. It’s ever-evolving. This newest season, contestants explain it best when they describe the old-school way of playing and the new-school way of playing. In the beginning, contestants just had to be the strongest, the best, and likable, and they’d win. As the game progressed, however, people began to see the stronger, more likable players as threats, and they adjusted their games accordingly. It’s not uncommon now to take unlikable players to the end just to give yourself a better shot at winning. Outwit. The first thing you have to do now in Survivor is to stay a step ahead without letting anyone know that you are a step ahead. In the beginning of the show, you could strategize, form alliances, and make a game plan, and as long as your team stuck to its guns, there’s a good chance things would work out. Now that the game has been on for so long, people know this strategy. Strategize too much and you’re out. Don’t strategize enough and you’re a pawn in someone else’s game and don’t have much of an argument for winning. It’s a fine line. Outlast. Another component to the game is to always be thinking about the jury. You have to vote people off, but not in a way that makes them so mad that they won’t vote for you in the end. This has always been easy—play nice, but play. Now that people have been watching the show for so long, the dynamic has changed. People on the jury now respect great plays and cutthroat moves. Being nice is no longer enough; you also have to be ruthless. Again, a fine line. Outplay. Being tough in challenges in the beginning was a benefit; people want people on their team who will help them win. Now that the show’s been on for so long, being strong is often seen as a threat, because once you get to the end and it’s all about individual immunity, you can beat the weaker players. It’s no wonder that strong young men rarely make it in this game. They’ll likely win if you let them get to the end and people tend to like them (hello white male privilege—I’m looking at you Malcolm, Joe, Oscar … ) and want to vote for them. It is also funny to me when the young strong guys try to form an alliance together because they know they are targets. Everyone wants to take them down! It never works. The genius of the show is that it evolves. The great thing about the newer seasons is that they often cast fans of the show. Fans of the show know how the game works; they know all the basic strategies and are familiar with all of the cast characters. They know what to expect and what maneuvers are coming. This makes the show great after 30-plus seasons because the players are constantly having to adjust their game play. They can try to predict what’s coming game-wise, but they also have to be the ones to predict what the predictors are predicting, and on and on and on. At a certain point, the basic game play becomes irrelevant, and a good amount of chance and luck come into play. And as always, a strong alliance is key. Remember when Rob came back and had that rock-solid alliance that he rode on until the end and won? Even great alliances can fail, so you don’t want to be seen as the ring leader walking your victory lap too soon or someone will want to take you down and your alliance will crumble. The show is genius in the fact that the people playing were once watching, and you can never quite cast the same group of people twice. You need to have people who are physically strong, mentally capable, and know how to work people. This is a rare feat, and it’s interesting to watch so many people try to master the game. Reality television: Has someone ever died in a reality show? Survivor: How did Todd Herzog win Survivor? Television series: What are some must-see TV series, and why?